Jürg Hutzli holds a PhD in Theology/Hebrew Bible from University of Berne. At University of Lausanne he works on a research project about the Priestly tradition of the Pentateuch. He teaches Biblical Hebrew at the University of Geneva and is a member of the UMR 7192 Research team at the CNRS/Collège de France (Paris). Stefan Münger holds a position as study program coordinator at the Theological Faculty of Bern (Switzerland) and has served since 2002 as co-director of the Kinneret Regional Project – an International Archaeological Expedition to the North-western Shore of the Sea of Galilee. He is specialized in the material culture of the Southern Levant of the second and first millennium BCE, especially in glyptics. He is also involved in several digital archaeology projects. Burial practices in ancient societies illuminate an important aspect of the past realities and beliefs. This volume correlates and synthesizes the multifaceted evidence for burial practices in the Ancient Southern Levant in a concerted manner based on data from different disciplines (anthropology, archaeology, epigraphy, literary analysis [exegesis]). 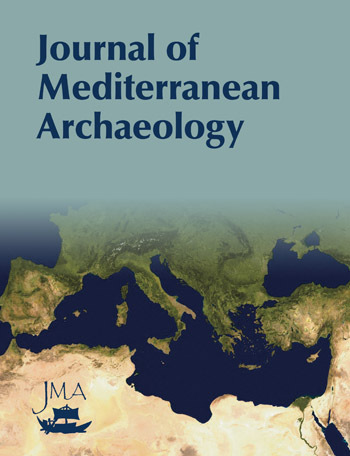 The co-authorship of two specialists in the two main fields involved (archaeology and epigraphy / exegesis) provides a methodologically solid and balanced approach to the topic. Geographically, the focus not only lies on former territories of Israel and Judah but also on their neighbouring cultures. The chronological scope covers the time from the Late Bronze Age to the Persian/Hellenistic periods. In addition to literary (i.e. biblical) texts the study also includes the available inscriptional material. This volume thus has a comprehensive approach, based on up-to-date archaeological and literary evidence, including most recent discoveries and contemporary theoretical approaches. The gathered body of data on burials in text and material culture will serve as point of departure for addressing related questions such as concepts of afterlife, netherworld and necromancy. The problem of the (seeming) discrepancy between archaeological and textual evidence will be discussed and possible solutions offered. Burial practices in ancient societies illuminate an important aspect of the past realities and beliefs. 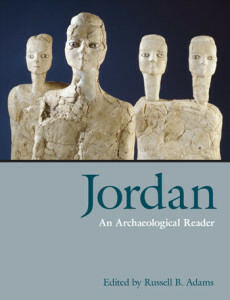 This volume correlates and synthesizes the multifaceted evidence for burial practices in the Ancient Southern Levant in a concerted manner based on data from different disciplines (anthropology, archaeology, epigraphy, literary analysis [exegesis]). The co-authorship of two specialists in the two main fields involved (archaeology and epigraphy / exegesis) provides a methodologically solid and balanced approach to the topic. Geographically, the focus not only lies on former territories of Israel and Judah but also on their neighbouring cultures. The chronological scope covers the time from the Late Bronze Age to the Persian/Hellenistic periods. In addition to literary (i.e. biblical) texts the study also includes the available inscriptional material. This volume thus has a comprehensive approach, based on up-to-date archaeological and literary evidence, including most recent discoveries and contemporary theoretical approaches. The gathered body of data on burials in text and material culture will serve as point of departure for addressing related questions such as concepts of afterlife, netherworld and necromancy. The problem of the (seeming) discrepancy between archaeological and textual evidence will be discussed and possible solutions offered.